We’ve known for a while that Miles Morales would pop into Marvel’s Spider-Man. He briefly appeared at the end of a gameplay trailer at E3 2017, and he has been lightly hinted at ever since. What we haven’t known, though, is what sort of role he would play. Miles Morales is an Afro-Latino character who, in the Ultimate Marvel comic universe, takes up the mantle of Spider-Man after the death of Peter Parker. His powers aren’t exactly the same as Peter’s (he can camouflage himself and paralyze foes with a single touch), but that’s okay. It sets Miles apart, and frankly, those abilities are awesome! He strives to be his own man, and is not content to sit in Peter’s shadow. I carefully observed Miles throughout Spider-Man, and I’d like to talk about his role for a bit. WARNING: Spoilers ahead for Marvel’s Spider-Man. Read ahead at your own risk. Honestly, I’m diving headfirst into spoiler territory after this picture. I’m not joking, here. Spoiler-time. You had your chance. Early in Marvel’s Spider-Man, a costumed Peter Parker teams up with Jefferson Davis. Fans of Marvel should sit up straight at that name: he’s a cop and the father of Miles Morales. After a daring team-up mission with Spidey, Davis is to be honored at a mayoral rally at City Hall. With his son and wife in attendance, Davis begins to speak. The speech is cut short with a series of explosions, caused by Mr. Negative and his gang. Peter, who was there as a civilian, is knocked unconscious, but Davis’ fate is still unknown. 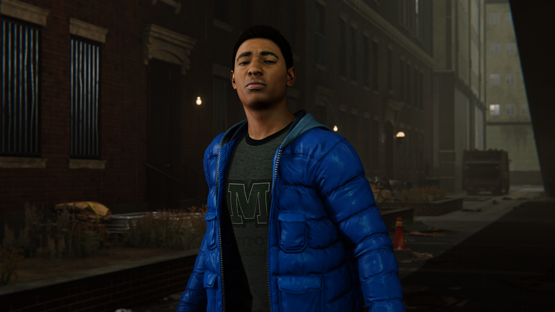 Players are then placed into the shoes of Miles Morales, who wades through the terror site and shuffles behind thugs to eventually find the dead body of his own father. This ends the first Act of the game. 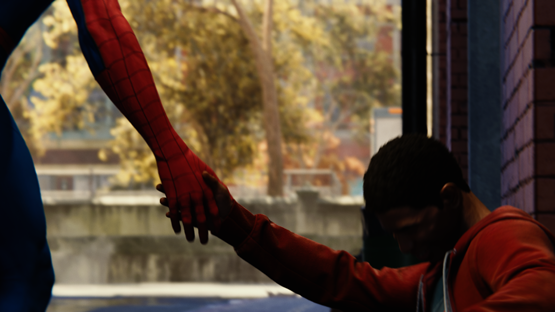 Throughout the course of the game, Peter slowly becomes involved in Miles’ life, suggesting he work at a homeless shelter with Aunt May to cope with his grief. We’re given control of him at a few key points: the moment he looks for his father’s body, his first day at the shelter, and a Rhino chase-scene where Miles is looking for antibiotics. They stand as small interstitial chapters in the larger story, as interesting ways to present a side-narrative. Miles is continually shown to be a brave, witty, funny, resourceful kid, but these gameplay segments hardly expand on these traits. Instead, Miles is used as a cliffhanger: near the end, he’s bitten by an Oscorp-enhanced spider and, you guessed it, gains powers similar to Peter’s. Marvel’s Spider-Man is not an origin story for Peter Parker. History has been built, years have passed since Peter first crawled on walls, and Uncle Ben is mentioned in passing. Though in a way, it is still an origin story—for Miles Morales. The game sets up many similarities between Peter and Miles, including the death of their father figures, their engineering prowess, and even the high school they attend. Yet I can’t help but feel that there’s a better way to handle Miles’ tale. 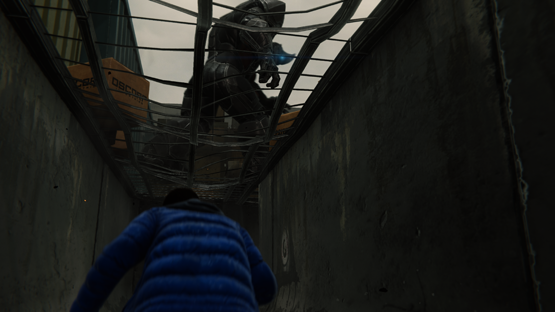 Don’t get me wrong; this isn’t a detractor from Spider-Man. It’s not necessarily something wrong, and not exactly a complaint. In fact, I was thinking heavily of Miles when I praised the game’s side-characters. His role is just something I think could have been greater. As a white guy and a medical lab tech, I know Peter. He’s a hero I’ve looked up to for years: a great guy without a superiority complex who simply tries his best. He’s me. And sure, I love hearing his story told in a solidly-made video game. But he’s me. I see myself in every show, movie, comic, and video game. The entertainment industry is filled with white science nerd characters. My story is everywhere, including my day-to-day life. It’s boring now, and if it’s boring to me, I’m sure it’s boring to the outer world. I was heartbroken by the end of Spider-Man‘s first act. Miles loved his father, and I can’t imagine what he was going through. That was a fresh feeling, despite it rising from a bad situation. I’d heard the Uncle Ben story more times than I can count. In that moment, I wanted to hear the Jefferson Davis story. I wanted to know what was going through Miles’ head, what he lost, how he’d cope with this tragedy. Yet Marvel’s Spider-Man plopped me back in the shoes of Peter, content to let Miles be a sad story that unfolds in the background. At this point, I was dearly hoping Spider-Man would pull the same trick as Metal Gear Solid 2. While I was enjoying my time as Peter Parker/Solid Snake, I wanted to be Miles Morales/Raiden. I wanted something exciting, unexpected, and brand new. I was sincerely convinced that Miles would be a playable hero in the finale and that the industry would love it, applaud the decision, and beg for more. As we all know, that didn’t happen. Like I said, Insomniac Games did nothing wrong by leaving us in Peter’s shoes. I just put heavy significance into a few plot points and threads that ultimately ended exactly where I felt they would. It didn’t affect me at all. But would it affect someone? To find out, I spoke with Demetrous (he goes by just Dee), my Afro-Latino friend, co-worker, and Spidey fan. He has yet to play Marvel’s Spider-Man, but saw the trailer that includes Miles. I asked him a dizzying amount of questions regarding hypothetical plot points. I deliberately spoke about situations that do and don’t happen in the story, to throw him off the scent of the truth. Dee said that, for the most part, he was excited to grab Marvel’s Spider-Man when his schedule next allowed. This was true for whether or not Miles played a large part in the game—he made it very clear that a smaller Miles role did not equate to less excitement. But he did emphasize how much Miles meant to him, and that he would “fangirl scream at the TV at the tiniest inkling” of the character playing a grand role. “Miles was someone to see myself in,” Dee says,” a Black/Latin hero that got the spotlight. Much in the vein of other superheroes of color: Black Panther, Blue Beetle, Green Lantern (John Stewart), Luke Cage, and Static Shock. He’s not the first to hold the [Spider-Man] mantle, much like Blue Beetle and Green Lantern. But he does a damn fine job, and gives people of color someone to look up to, to admire.” It’s important to note that Dee listed those heroes from memory with no hesitation. He’s been holding those names close to his heart for years, yearning to see more respect thrown their way. Among their ranks stood Miles Morales, the Black Hispanic teen who reflects when Dee was a teen himself. Even removing my own personal reasons for wanting to see Miles play a larger role, I’m still sad. Dee won’t feel the exact same rush I had swinging through NYC as Peter Parker. I’ve talked about the game with him, sure, though that glint in his eye only appears when he mentions Miles. But of course, when Dee does play the game, he’ll enjoy the cliffhanger power reveal for Miles. It seems that, for now, Insomniac didn’t fumble or screw up Miles’ role in Marvel’s Spider-Man. They simply decided not to take one of many more interesting opportunities. But I can’t deny that they’re holding a great power here: let’s hope they wield it responsibly in a possible sequel.